The franchising industry can be confusing, and we’ve all come across some terms that are unclear. 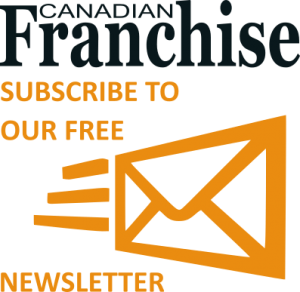 That’s why Canadian Franchise Magazine have put together a guide to understanding franchising jargon. An annual fee paid by the franchisee to the franchisor for advertising costs; usually paid in addition to the royalty fee. Not all franchisors charge advertising fees. A continuing periodic payment to the franchisor, it can be a fixed amount or a percentage of gross sales. A dispute mediating process in which each side selects their representative, in addition to the participation of a chosen third (impartial) individual. The monthly fees paid to the franchise company in order to support corporate marketing and advertising. A document that summarizes the operational and financial objectives of a business and contains the detailed plans and budgets showing how the objectives are to be realized. A business plan also contains detailed financial projections, predictions about your business’s performance, and a marketing plan. The amount of cash you are required to have available. This is a franchise that permits existing businesses to join a national franchise system to use its recognized name, trademark and operating system. The exclusive right of a person to use and to license others to use, an intellectual property such as a book, pamphlet, or other published material. A range of factors that may influence consumer behavior in a specific trade territory e.g. age, income, house prices, industry, socioeconomic conditions. Approved, chosen suppliers of products and services for a particular franchise company. The document helps the prospective franchisee’s evaluation of the franchisor company. All franchisor companies should provide this document to prospective franchisees at their first personal meeting to discuss the sale of the franchise, and at least ten business days before the prospective franchisee signs a franchise agreement. A right granted by a manufacturer or wholesaler to sell a product to others. A distributorship is normally not a franchise. A detailed listing of all fees and expenses you can expect to encounter in starting your franchised business. The federal agency, based in Washington, D.C., regulating a variety of trade practices, including the franchise industry. FTC (Federal Trade Commission) of every franchise company. Its objective is to provide potential franchisees with sufficient data about the company and the opportunity to enable them to make an informed decision. “A franchise is a grant by the franchisor to the franchisee, entitling the latter to the use of a complete business package containing all the elements necessary to establish a previously untrained person in the franchised business, to enable him or her to run it on an ongoing basis, according to guidelines supplied, efficiently and profitably”. The franchisees are the people who choose to invest in a franchise to become business owners. They enter a business relationship with a franchising company that gives them the right to run the business using the trademark and trading system. A written contract detailing the mutual responsibilities of franchisors and franchisees. A one-time fee paid by the franchisee to the franchisor to “buy into” the franchise. A method of doing business within a given industry. At least two parties are involved in franchising: the franchisor and the franchisee. A written agreement detailing the expectations and requirements of the franchisor. It’s legally binding on both parties and describes the rights and obligations of both the franchisor and the franchisee. The legal agreement between the franchisor and the franchisee that outlines the terms under which the franchisee will operate the business. The franchisor owns the business system and associated trademarks or trade names. Franchisors allow franchisees to use these under licence in a designated area and for a fee. They then support their franchisees both in starting their business and in continuing to make it work. The method by which the franchisor enforces the rules of operation set forth in the operating manuals. i.e. Regional Coordinators visiting each franchisee. A payment made periodically to the franchisor for the continuing services given to the franchisee by the franchisor. Territory is the area that franchisors assign to franchisees and within which they grant the right to franchisees to operate and market the business. The amount of money estimated for complete set up of a franchisee’s business, including the initial investment, the working capital, and subsequent additions to inventory and equipment deemed necessary for a fully operational and profitable enterprise. A distinctive name or symbol used to distinguish a particular product or service from others. Part of a franchise’s value is the right to use a recognized trademark.